Think one of the newer chickens is turning Broody. She seems to be spending a lot of time in her nesting box and when I pick her up out of there, her belly is very warm. She hasn't got bad yet, she's not attacking me when I pick her out of the box and she tends to stay out of there for a good while after I do. Will have to keep an eye on her! Took yesterday afternoon off as it was such a lovely day, so took the opportunity to do some gardening. 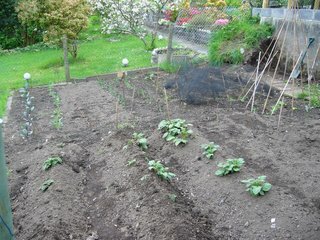 My carrots, swede, parsnips and beetroot had all been attacked by slugs / cats so I had to replant a row of each and cover the area in netting to keep the cats away. Also admitted defeat with the night time raids on the slugs and have put some pellets down round the bed. 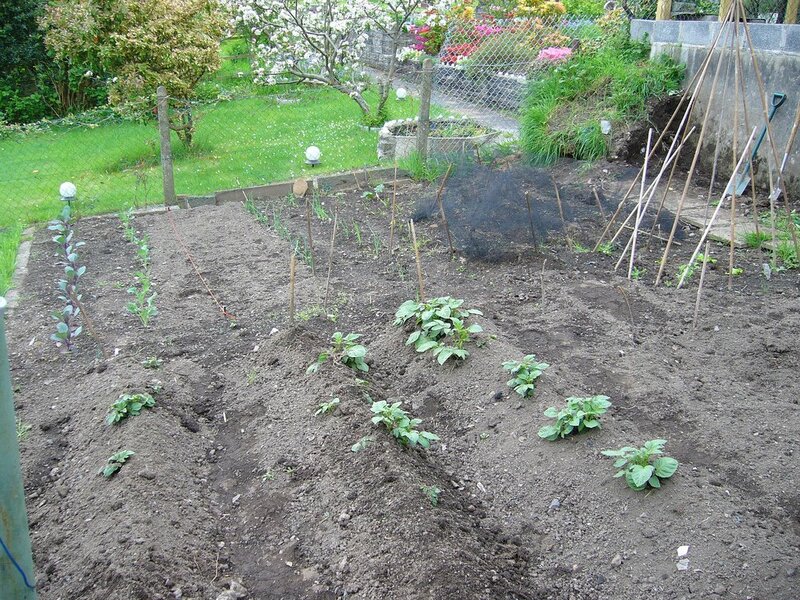 Put some white cabbage in the ground and planted my peas. Leeks and celeriac have also gone in. Speaking to a nice local the other day about me looking for some land to rent in the area and he may have come up trups. There is a farm house up behind our place and apparently the woman who owns it is quite kean to rent out some land. Going to give her a ring tonight and see what happens! Very excited now! The sweetcorn, purple sprouting brocolli and cabbage are all in pots outside, will probably put them into the ground the end of this month. The story of my own "good life"... time will tell how successful it becomes!